Well, I can tell you this. It is one thing to read about these scams that have become so prevalent, proliferating by phone and email and text. It’s like they’re procreating, but of course, it’s just more mopes trying to find gullible people, or maybe not even gullible people, maybe just distracted people, to steal from. And it’s a whole other thing entirely to find that one’s business, a business that depends on a good name of integrity and truth-telling and directness, has been pulled into someone’s attempt at a scam. Unwillingly, of course, but nonetheless, the issue remains. Friday morning, we received reports here, at the Courier office in Cold Spring, that an unknown party was calling people in the area and professing that the individual’s credit card has expired, and this unknown party (NOT US!) needed the new number. In fact, this unknown party had spoofed our number and identity – PCNR & Courier. The number came up as 265-2144. That is one of our numbers, but it was NOT us calling. Of course, we forthwith alerted the police, both in Cold Spring and at the Sheriff’s Department. A few notes about our procedures: We DO NOT call subscribers about their cards, except in the very rare instance that a card did not work. We DO NOT EVEN keep that info beyond the initial transaction in the case of subscriptions. It’s just not something we are set up to do right now. Some merchants, of course, keep a card on file with us. Be assured, that is stored by Intuit in an encrypted fashion. Not only is this today’s best practice, our commercial insurance carrier required it. So, plusplus for security. When a subscription expires, we will send you a letter. We don’t call you. We are fortunate that so many people renew, so quickly, sometimes for two and three years at a time. At least, we’ve seen that since buying the paper in 2016. But as these scammers proliferate, and become ever more annoying, please, please do not give out any info unless you are calling us and speaking directly with Kimberley or me. We simply don’t call subscribers and represent their card didn’t work. If you receive such a call, hang up and move on. As ever, if you want to talk about our procedures, or even if you have a news tip or a complaint, just call me directly. Our business depends on candor and directness, and that’s what you’ll get. 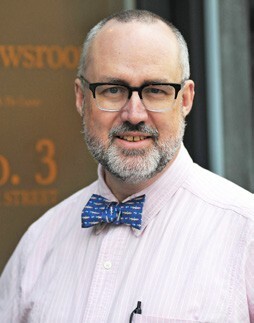 Douglas Cunningham is editor of the Courier and the Putnam County News & Recorder. Reach him at editor@pcnr.com, or at 845- 265-2468.
Letters to the editor are welcome, and should be limited to 500 words and sent to that address by Monday morning. Local writers and local topics are preferred.